Unionville-Chadds Ford Board of Education members stressed Monday night that elimination of policies specifying support personnel benefits shouldn’t be taken as an unwillingness to discuss reinstating sick days for the district’s bus drivers, who lost their three paid sick says in 2011 when cost-savings measures were instituted to keep the busing program in-house. 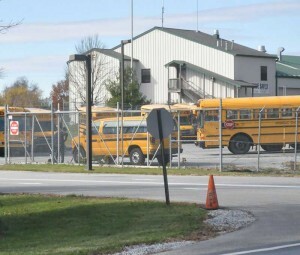 EAST MARLBOROUGH — The fact that the Unionville-Chadds Ford Board of Education is looking at removing a policy that specifies benefits for support personnel doesn’t mean that the board isn’t willing to consider restoring some benefits, including sick days for the district’s school bus drivers, board members stressed Monday night, during the board’s work session. “The policies are in conflict with current employment agreements,” said board member Kathleen Do, who chairs the board’s Policy Committee, noting the change in 2011 that eliminated paid sick days for bus drivers as part of the economy measures instituted in order to keep services in-house. Superintendent of Schools Dr. John Sanville said, after consolation with district solicitor John R. Merrick, that there was general agreement that the policies should be eliminated, as employment agreements — either a formal agreement with a bargaining unit or an issued letter of benefits for those employees not represented by a union — take precedence over any policy. Sanville also noted that the Pennsylvania School Boards Association was contacted and asked for a model policy on the subject — and the organization did not have any policy available on the subject. Do was among numerous board members who made it clear they were open to revisiting the sick day issue with bus drivers — but that issue and the policy issue shouldn’t be seen as impacting each other. Board president Eileen Bushelow asked whether those employment agreements were made public — as the policy has been. To date, they have not, Sanville said, but those letters of benefits could be published on the district Web site. The sick day issue has become an increasing point of concern for district bus drivers — apparently the only support personnel without paid sick days in the district — who say the economy measures were rushed through without discussion about the priorities of the drivers. But a number of board members made it clear they were open to discussing the issue.